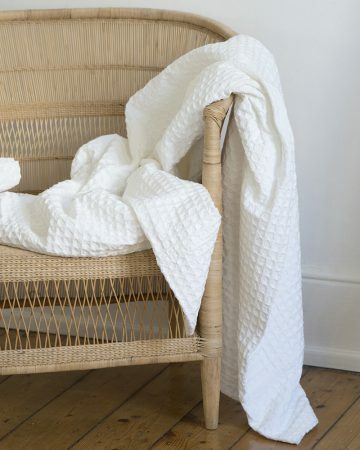 The textured and soft cotton Lattice Weave Bed Cover is finished with a wide four-sided pure linen border, which adds an extra luxurious touch. 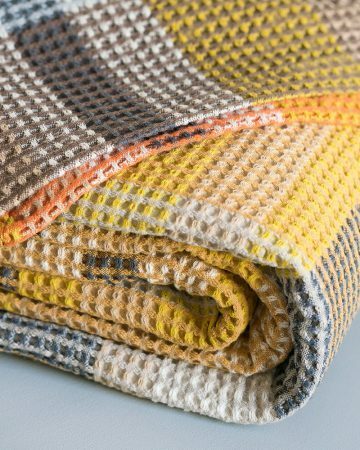 This Stu Holding original weave is a contemporary take on the classic waffle weave. 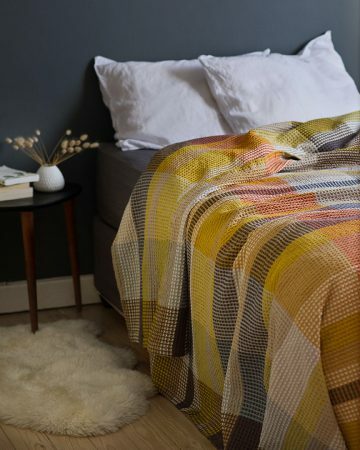 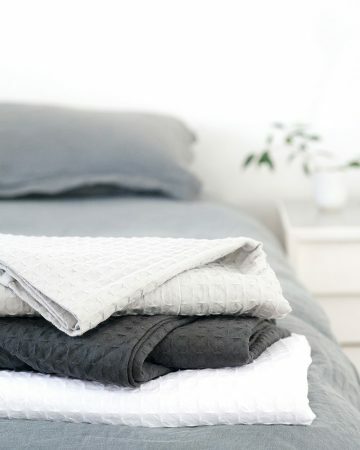 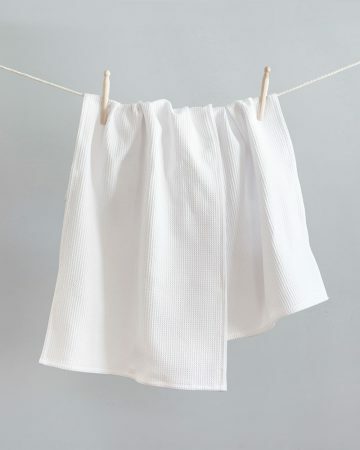 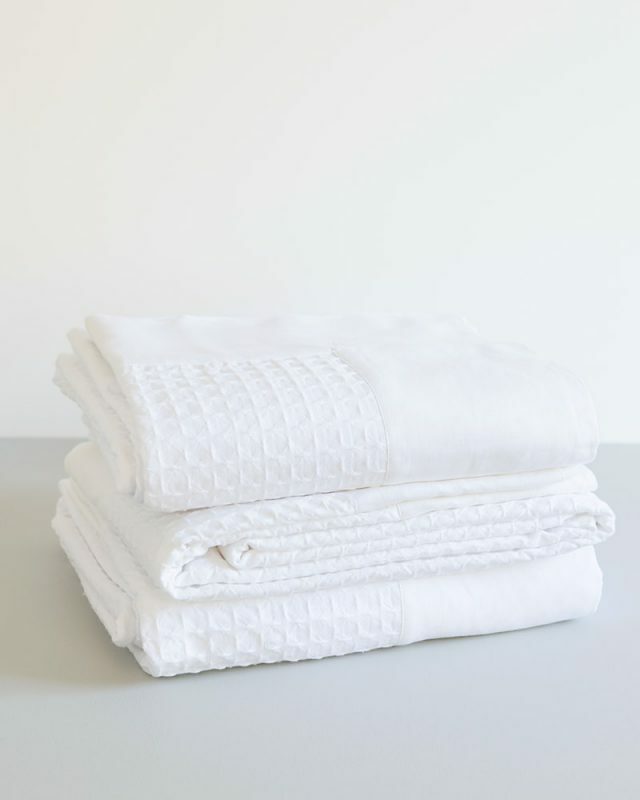 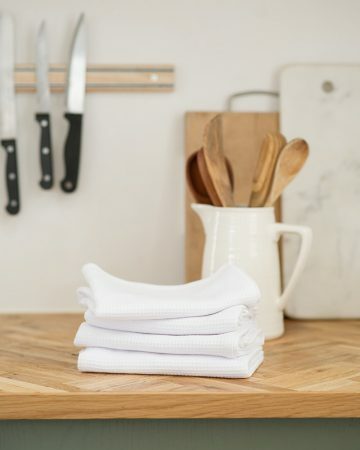 Cotton will soften with each wash, but still holds its shape well and is easy to smooth out (great for hiding undesirable creased bedding underneath). 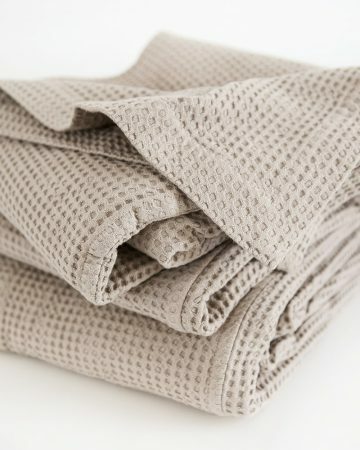 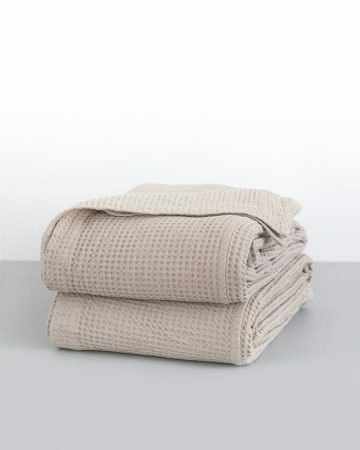 The addition of a wide four-sided pure linen border gives the Lattice throw an nostalgic old-world feel. 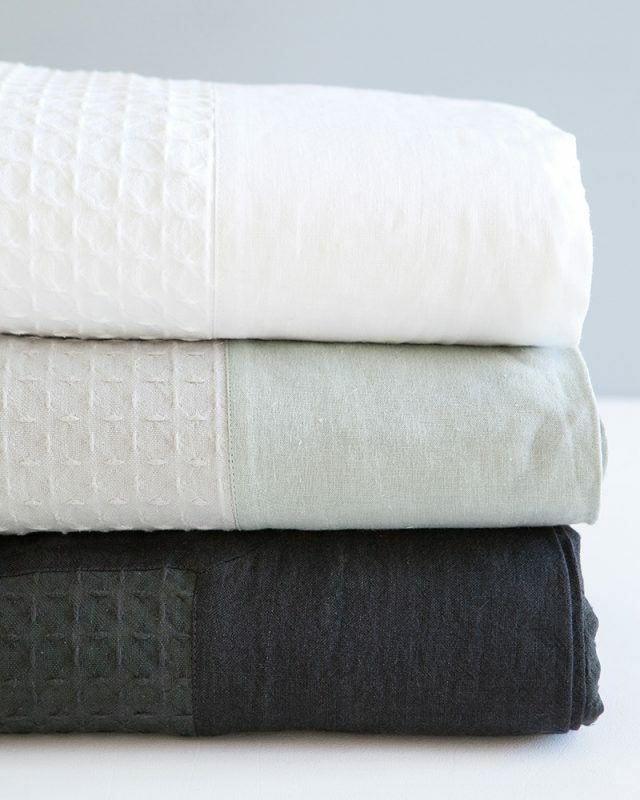 Iron out for a smart, crisp finish.